Incorporate a business in all 50 states of the USA. Select the right business entity based on the nature and size of their business. It can be an ‘S’ Corporation, LLC Partnership, Sole Proprietorship, Not for Profit Estate and Trust, or a Service Corporation. Get the FEIN number, which is the initial mandatory number to start the process of incorporation. We get it in minutes. Get Sales tax number and Unemployment number. 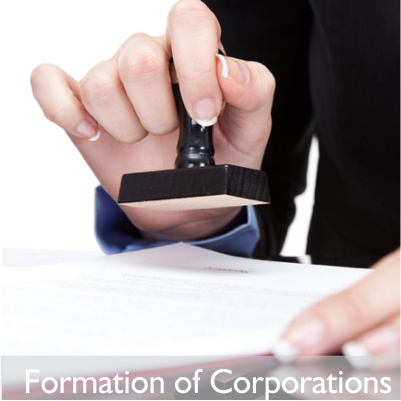 Filing of appropriate forms with State and the IRS related to the corporation.